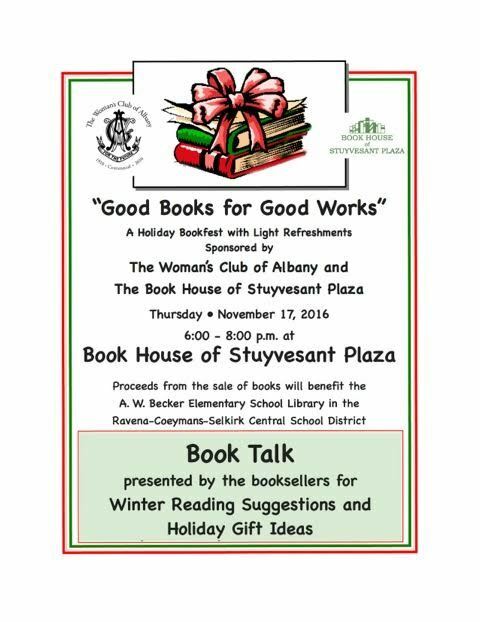 Come to the Book House and buy your favorite authors, gifts for Christmas and Hannukah, or birthdays. Enjoy snacks and a listen to the pros at the Book House make suggestions of their favorites. All proceeds from sales that night will go to the school library.